The US Navy is facing better and more numerous Russian submarines capable of taking out aircraft carrier groups. The service can’t ensure full awareness of Russian sub activity, CNN reported, citing American admiral. "The submarines that we're seeing are much more stealthy," Adm. Mark Ferguson, commander of US Naval Forces in Europe, told the news channel. "We're seeing [the Russians] have more advanced weapons systems, missile systems that can attack land at long ranges, and we also see their operating proficiency is getting better as they range farther from home waters." Russian deployments of attack and ballistic missile submarines are currently at levels unseen since the Cold War, he said. The US has 53 submarines in service and the number will drop to 41 by the late 2020s due to budget constraints, Ferguson added. Even with the current numbers, the Pentagon can’t monitor all Russian subs, according to retired Adm. James Stavridis, a former NATO supreme allied commander. 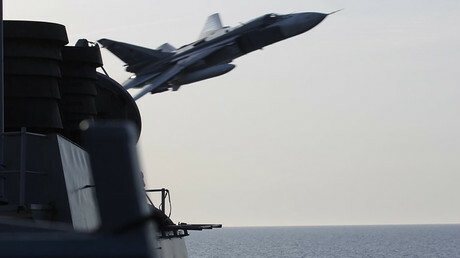 "We cannot maintain 100 percent awareness of Russian sub activity today," he said. "Our attack subs are better, but not by much. 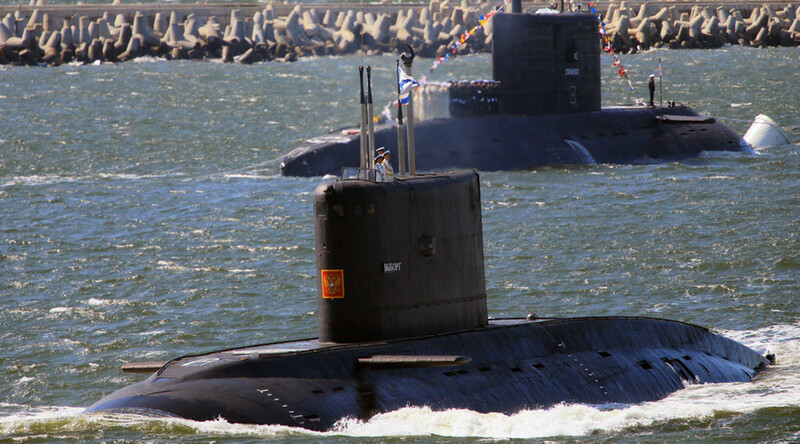 Russian subs pose an existential threat to US carrier groups." Ferguson acknowledged that Russia invested years and billions of dollars into upgrading its submarine fleet because it sees NATO as a threat to its security. "NATO is viewed as an existential threat to Russia, and in the post-Cold War period, the expansion of NATO eastward closer to Russia and our military capability they view as a very visceral threat to Russia," he said. The Russian submarine deployments are “focused on protecting the maritime flanks of Russia” and on “denying NATO the ability to operate” in areas such as the Baltic Sea and the Black Sea. For 20 years Russia has been complaining that NATO's eastward expansion poses a military threat. The US and the alliance have steadfastly denied this, attempting to justify the policy as one designed to ensure the security of Eastern European nations and dismissing Russia's concerns as unfounded. The US claimed the anti-ballistic missile system the US is deploying in Europe protects NATO allies from a possible attack by “rogue nations” such as Iran and North Korea. Moscow maintains it undermines its missile deterrence. This week, the Pentagon argued before the Senate Armed Services Subcommittee that the Missile Defense Agency should get the funding it requests “to deny Russia offensive capabilities.” It also listed war-battered Syria as a source of growing ballistic missile threat to the US.